Merry Christmas to those who celebrate and Happy Chanukah to those who celebrate. Heritage Auctions held their 20th Century Design sale on November 18, 2016, with total sales of $1,368,204. 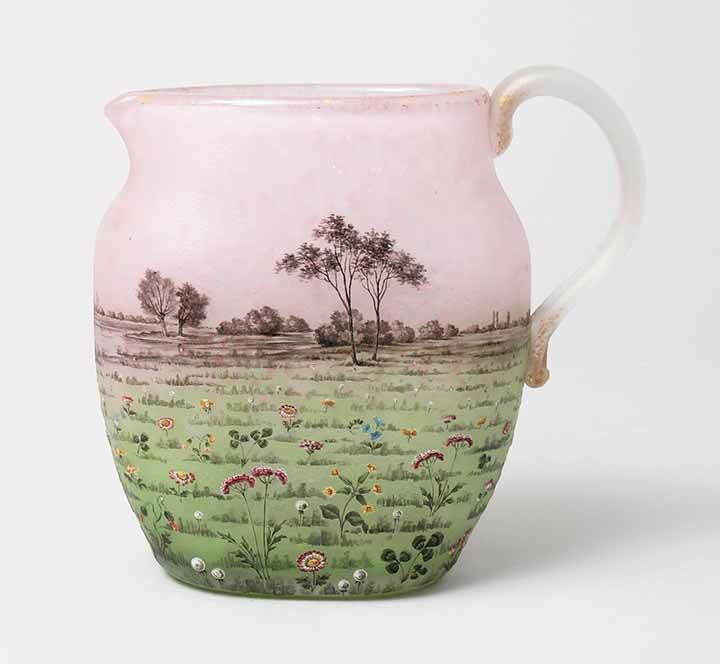 Included in the sale were eight lots of Martinware, including several bird tobacco jars, which continued to sell well. Top lot of this group was #79001, a grotesque bird with long beak. Collectors prize those birds with the most “expression” and this one fit the bill (pun intended). Its height of 14″ was also a big plus. It soared to $81,250, including buyer’s premium, against a pre-sale estimate of $25,000 – $35,000. 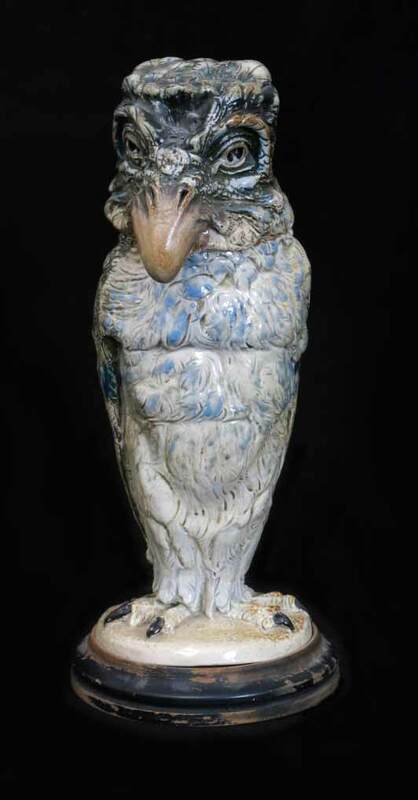 I particularly liked lot #79004, another Martin bird with a great expression and a hat, 11¾” tall. It sold within its pre-sale estimate of $20,000 – $30,000, realizing $30,000, including buyer’s premium. I would have loved to have bought this bird, but the price was a bit too strong for a dealer. 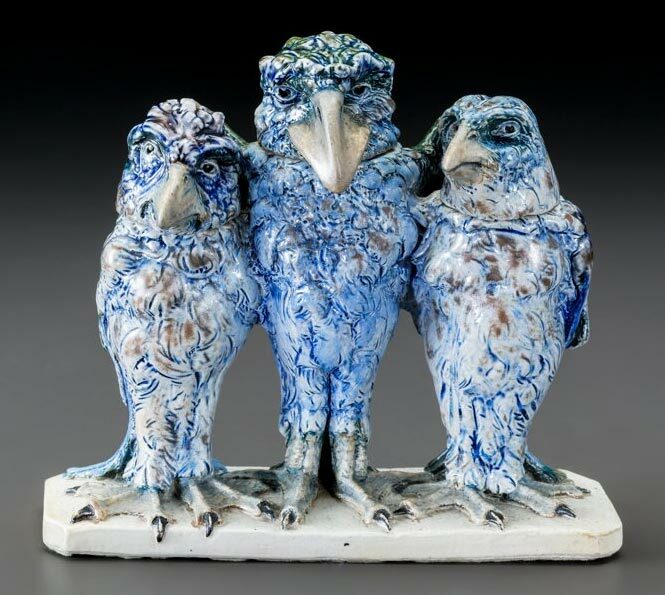 Lot #79005 was a rare Martin triple bird, 7¾” tall. It sold above its high estimate of $30,000, realizing $40,000, including buyer’s premium. For the complete results of the sale, which included Tiffany, Handel, Gallé, Lalique, etc., click here. You will have to sign in (free) to obtain prices. I recently bought this killer Martin Brother 11½-inch bird. Sotheby’s New York held their Tiffany Dreaming in Glass sale on December 14, 2016, with total sales of $5,460,500 for the 67 lots offered. 13 lots failed to sell, yielding a very strong, but skewed, average of $101,120 per sold lot, because of the very strong result of one lot. 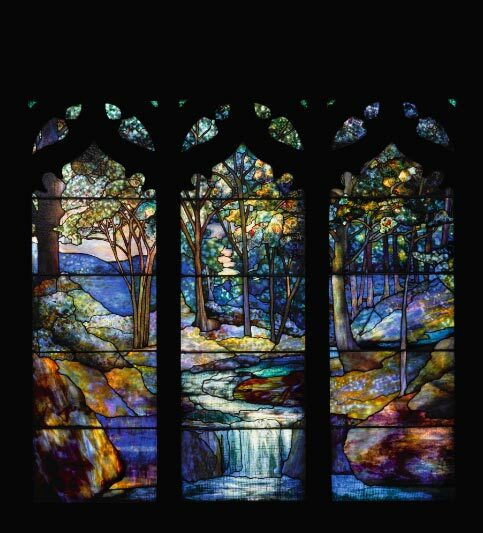 Lot #437 was a gorgeous, large, 3-panel, scenic, 1914 Tiffany Studios window from the First Presbyterian Church of the Covenant, Erie, Pennsylvania, entitled The Stream of Life. It sold for an astonishing $2,652,500, including buyer’s premium, against a pre-sale estimate of $250,000 – $350,000. 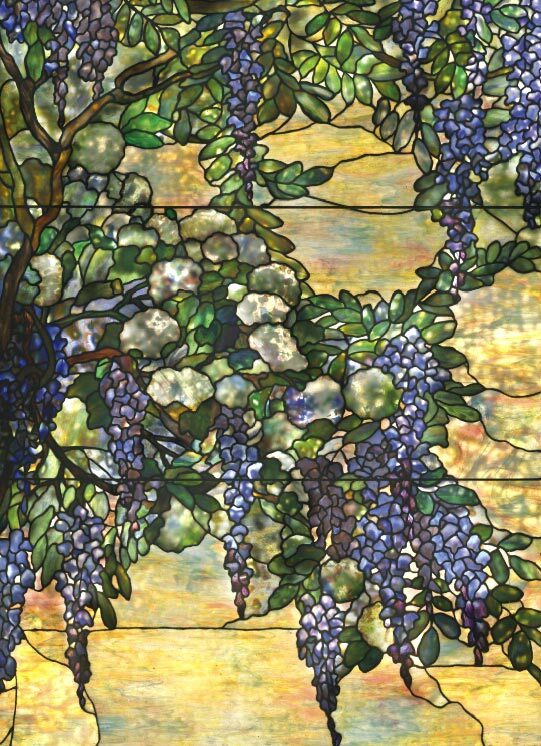 It was a good week for Tiffany Studios’ windows, with the top lot at Christie’s also being a Tiffany Studios’ window. The results for lamps were mixed, with several beautiful lamps failing to sell. 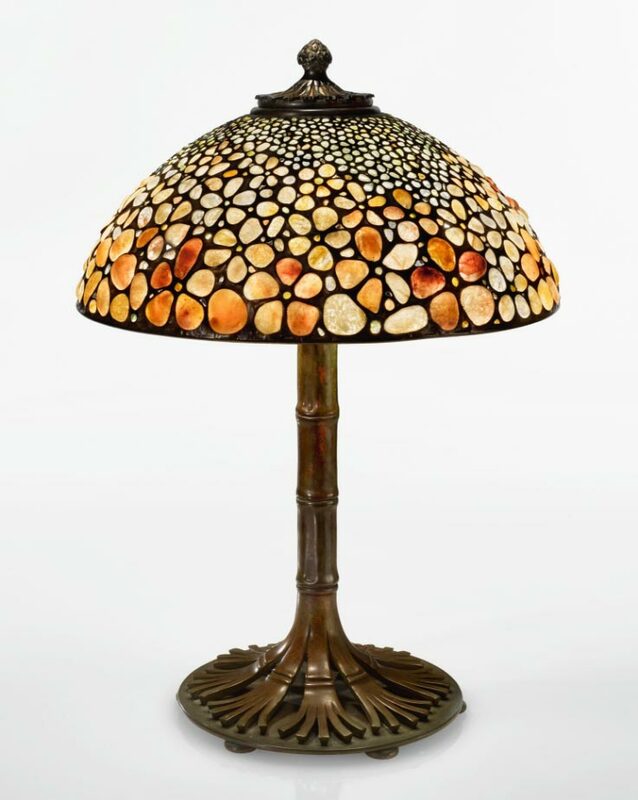 One lamp that did very well was a rare Pebble lamp. Instead of the usual glass, the lamp was mostly composed of quartz pebbles. It’s certainly not my taste, but the bidders loved it. It sold for $312,500, including buyer’s premium, almost double the estimate of $100,000 — $150,000. 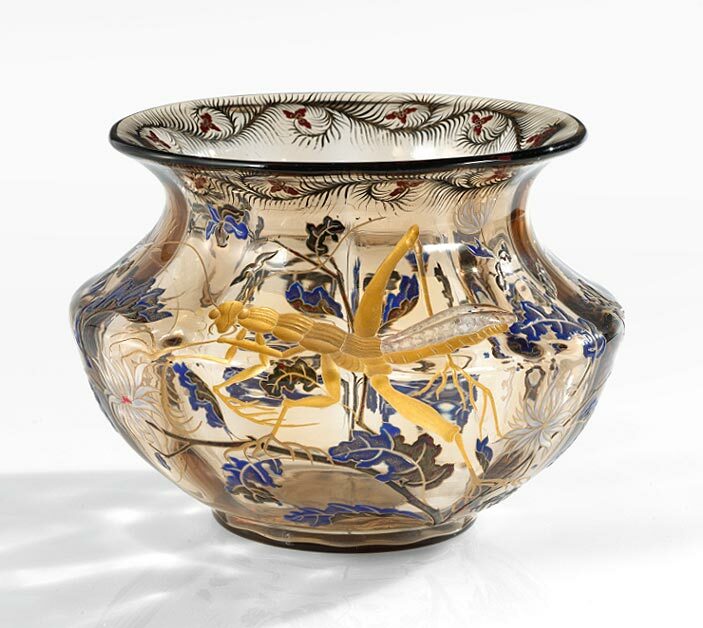 Top lot of the Tiffany Favrile glass was #413, an Egyptian Onion floriform vase. It sold just below its pre-sale estimate of $30,000 — $50,000, realizing $35,000, including buyer’s premium. For the complete and very interesting results of the sale, click here. Christie’s New York held their Design sale on December 12, 2016, with total sales of $3,572,625 for the 154 lots offered. 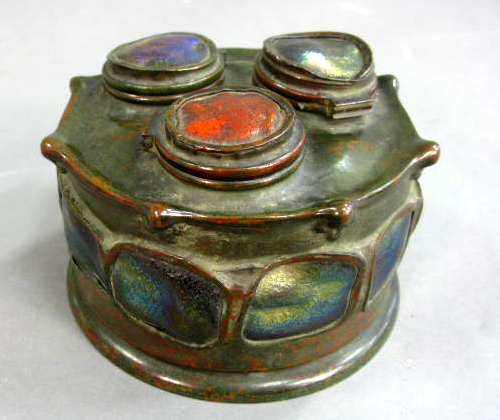 I was only interested in the 11 lots of Tiffany Studios’ objects. Of that small group, lot #103, a Snowball and Wisteria window, did best. It sold for $499,500, including buyer’s premium, well above its pre-sale estimate of $200,000 – $300,000, and was the top lot of the sale. 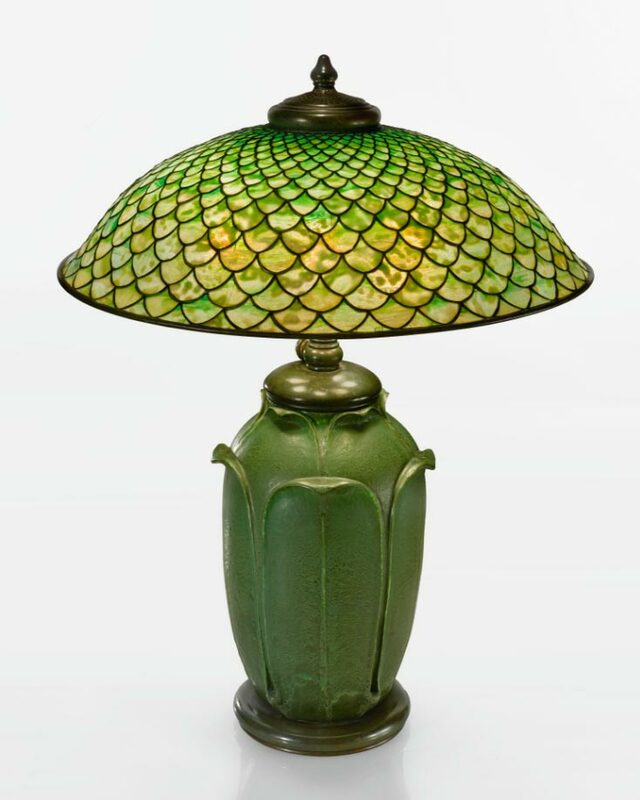 Of the Tiffany group, a large Laburnum table lamp performed second best. It sold within its estimated range of $150,000 – $200,000, realizing $211,500, including buyer’s premium. 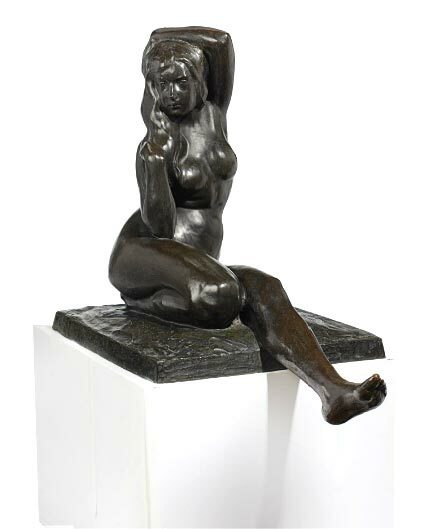 The second best-performing lot of the entire sale was a 1906 bronze by Rembrandt Bugatti, entitled Jeunesse (Youth). It sold below its estimate of $400,000 – $600,000, realizing $391,500, including buyer’s premium. Sorry for the delayed coverage of the Rago Auctions in October. I meant to write about them earlier, but life got in the way. I covered Rago’s October 15, 2016 Mid-Mod sale last week. Today I’m covering the high end, eclectic Jerome Shaw Collection, which Rago sold on October 14, 2016, with mixed results. I think the aggressive estimates on the best lots held back some of the interest. Two important Loetz vases, lots #48 and #49, sold for prices near their low, but strong, estimates. 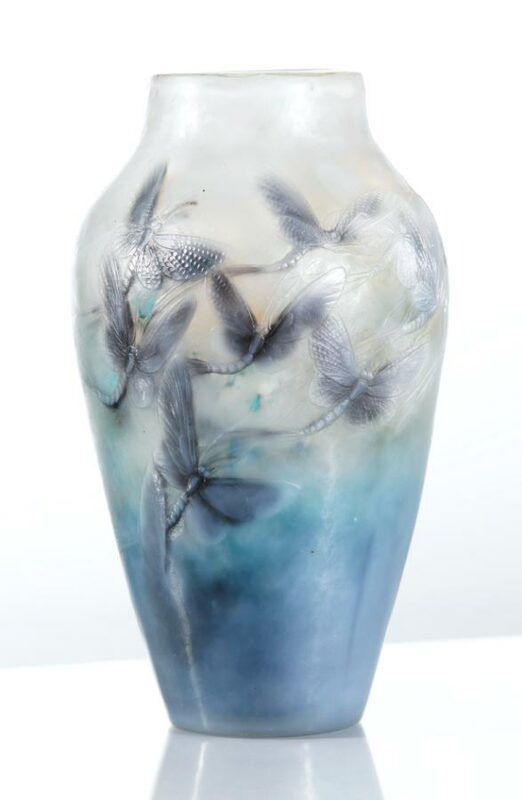 Lot #49 was a monumental, 18″, Phänomen vase, model no. 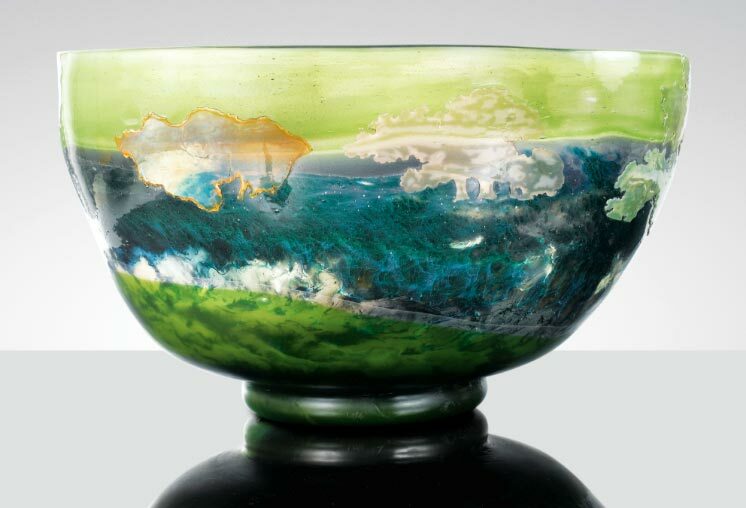 387, usually referred to as a black-bottom vase. It sold just below its low estimate of $50,000, realizing $53,125, with buyer’s premium. I’ve been following the travels of lot #143 for a few years. Originally it sold to a dealer at Nadeau’s Auction in Windsor, Connecticut on October 30, 2010 for $37,500. That dealer sold it to a collector (who I now assume was Jerome Shaw) for $75,000. At this sale it sold within its pre-sale estimate of $40,000 – $60,000, realizing $53,125, including buyer’s premium, a loss for Shaw. I’ve always loved this item for both its beauty and rarity. If I were just a collector, I would have tried to buy it. I meant to write about this sale earlier, but life got in the way. So here goes. Rago Auctions held their Mid-Mod sale on October 15, 2016. Included in the sale was a small collection of Gallé lamps and vases. 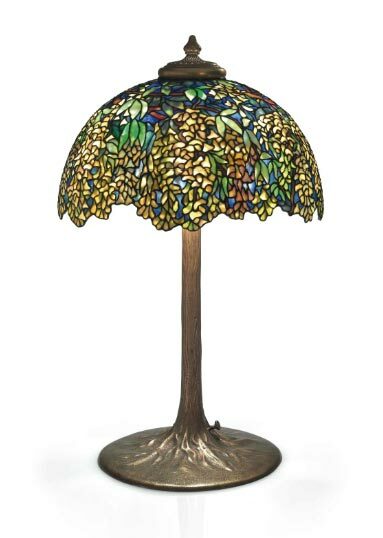 The two lamps sold very well, while the rest of the Gallé basically flopped. 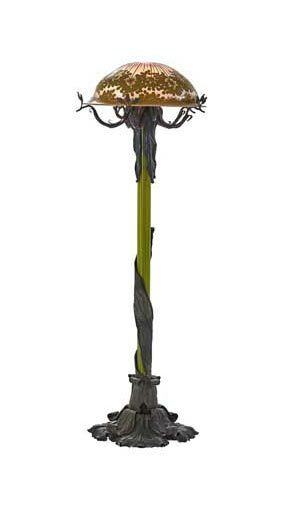 Lot #532 was a Gallé floor lamp with allium floral decoration. Other than the rarity, I thought the glass was unexceptional, with only one technique (acid-etching) and uninspiring brown and green colors. On the other hand, the metalwork was fine and floor lamps are really rare. The bidders did not consult me and pushed the final price to $310,000, including buyer’s premium, against a pre-sale estimate of $150,000 – $200,000. The air gets kinda thin at that altitude. The next lot, #533, appeared to be a companion table lamp, which in my opinion was finer and more graceful than the floor lamp. It didn’t do as well, realizing $43,750, including buyer’s premium, against an estimate of $40,000 – $60,000. Most of the other Gallé offered for sale did not sell, with a few exceptions. It was a mixed day for French glass at Rago’s. A.H. Wilkins Auctions, Toronto, Canada, held a Fine & Decorative Art auction on November 30, 2016. Included in the sale was a very large Martin Brothers bird tobacco jar. As many of you know already, the Martinware market has been strong for decades and the sale of this bird is proof that it’s still going gangbusters. 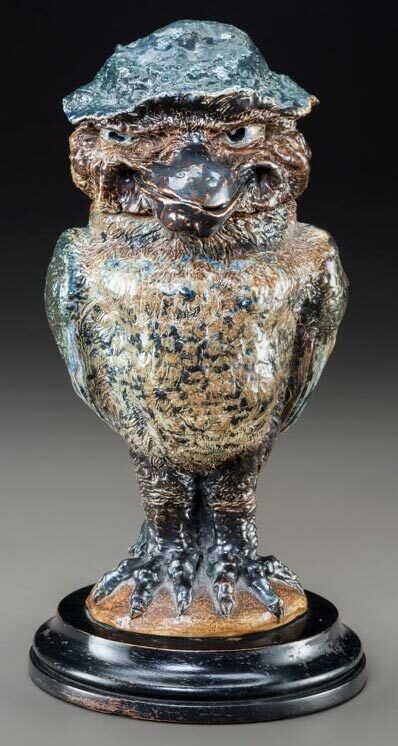 Lot #2109 was a huge, 20½” tall, Martin Brother bird tobacco jar. 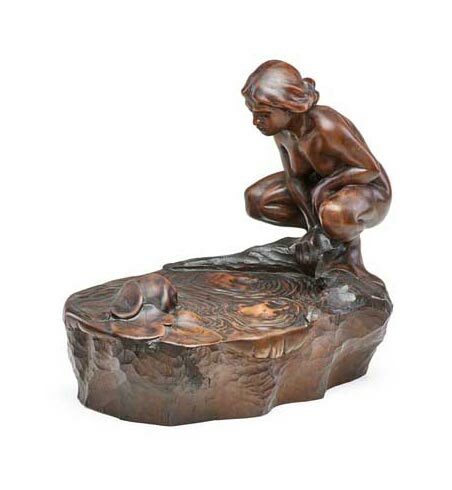 It had been part of the famous Harriman Judd collection before being sold at Sotheby’s on January 22, 2001 for $19,200, including buyer’s premium. What a difference a decade and a half makes. Interestingly it wasn’t a very special bird, as it didn’t have a lot of character and it also had some restoration. That made no difference to the enthusiastic bidders. They pushed it to over double its high estimate of $60,000 CDN, to realize $163,800 CDN (US $123,229), including buyer’s premium. That’s a nice chunk of change and a heck of a return on investment. 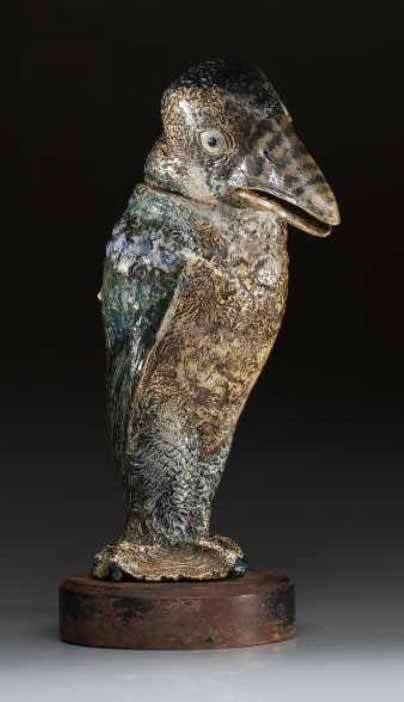 Personally I had interest in the bird, but for less than the low estimate of $40,000 CDN. Congratulations to both the buyer and the consignor. No more shows in 2016. Our next show will probably be the NYC Big Flea, the weekend of January 21, at the Lexington Avenue Armory. If not, we’ll be in Miami for the Miami Antiques + Art + Design Show, February 3 – 5, 2017. This is the airport show, which will be new and improved, with many additional exhibitors. The changes are happening because the Miami Beach Antiques Show will no longer be in Miami Beach, instead moving to a new location in southwest Miami. It will all make for an interesting winter season. I won’t bid at Jackson’s International Auctioneers in Cedar Falls, Iowa. Here’s a little bit of the story. Many years ago I tried to do business with Jackson’s and had one little incident after another. It was so long ago, I can’t even recall any specifics. What I said to myself was that I won’t do business with them any longer. And I kept to that promise until this week. Fast forward to a couple of weeks ago when I received a catalog for their World Treasures sale on November 29-30, 2016. I was impressed with many of the Tiffany Studios offerings, so I decided to give them another shot. On Monday of this week, I sent for condition reports on a number of lots to be sold on Wednesday, November 30th. Once I send an email, I assume the auction house is interested in my bids, so I forgot about it until I received an email this morning at 9:33 AM — 27 minutes before the sale was to begin. By the time I looked at the email, all of the items I was interested in were finished. There was no urgency whatsoever in the email. Just a “here are the condition reports you requested” attitude. How foolish or inept. Every extra bidder at an auction raises the prices and I’m a strong bidder. Even if I don’t buy an item, there is a good chance I will underbid it, raising the price for both the seller and the auction house. So no more Jackson’s for me. Don’t waste your catalogs. I’ve had it with them. UPDATE: Now I’m really ill. I just looked up the results and the items I was going to bid on sold so cheaply, I probably lost out on profit of $50,000+. 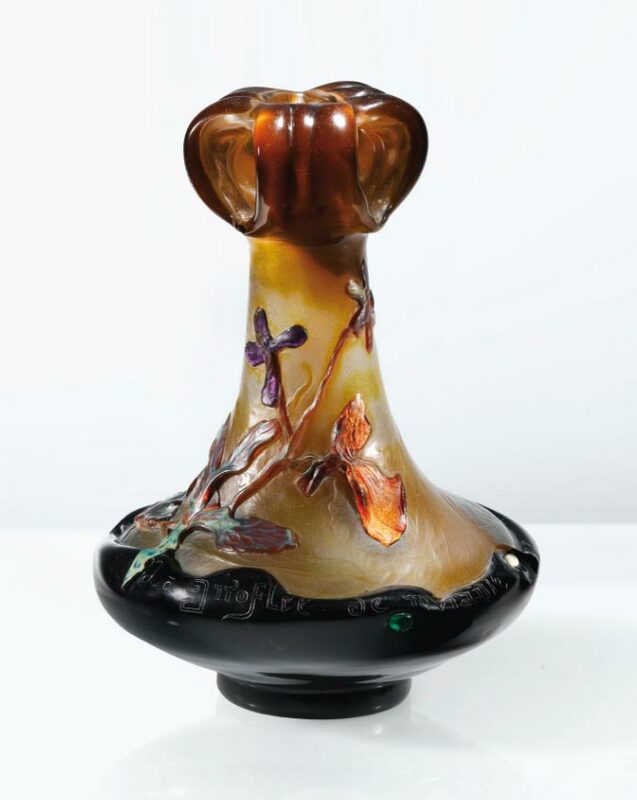 For instance the vase pictured above sold for $15,000. I could have sold it for at least $35,000. 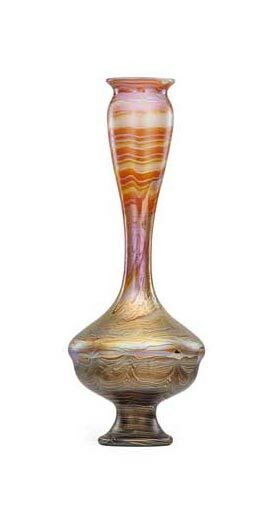 Another vase sold for $2,000 that I could have sold for $7,500. 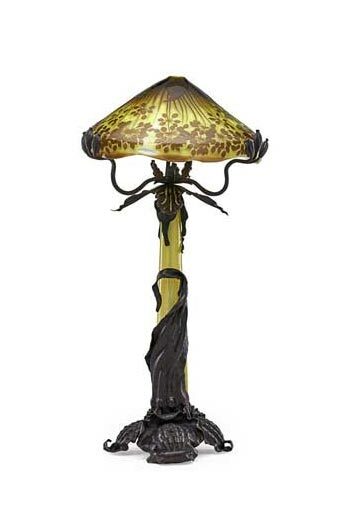 A lamp sold for $22,000 that I could have sold for $45,000. Argh! I’m so angry and they’re so foolish. If I were the consignor, I would be pretty upset.